Tickets: £39.75 – £56.20 – sold out ! Jack & Victor are back! Probably Scotland’s most popular comedy duo of recent times are set to return to the live stage with Still Game Live 2 at the SSE Hydro arena in Glasgow. We hadn’t seen Jack & Victor since 2007 after Ford Kiernan and Greg Hemphill split their successful partnership when hit show Still Game finished its TV run. 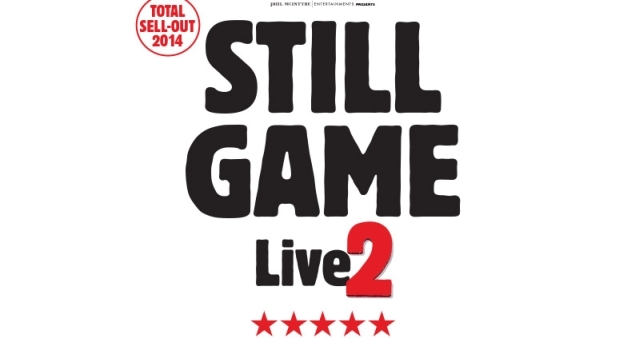 However, the successful sell out reunion live stage show was mega hit selling out the 12,000 seat arena for 21 straight performances in September and October 2014. And now it’s back again! I’m sure most of Glasgow will know who Jack & Victor are, but for those few folk unfamiliar with the Still Game, Keirnan and Hemphill played Jack Jarvis and Victor McDade, two foul-mouthed pensioners spending their days disreputably in the fictional Glasgow housing scheme of Craiglang. The show though would be mince without the amazing supporting cast, who will all be reunited for the live show. Pal Winston (Paul Riley), local busybody Isa (Jane McCarry), corner shop owner Navid (Sanjeev Kohli) and Boabby the barman at The Clansman (Gavin Mitchell). February 2017 will see the cast back together once again, to perform STILL GAME: LIVE 2 at The SSE Hydro, starting Sat 4 February 2017. A spanking new live show that promises to be their most ambitious show yet!